While up in Scotland in summer 2017, we paid Edinburgh a quick visit. It was super busy, due to the festival, and we were super hungry. 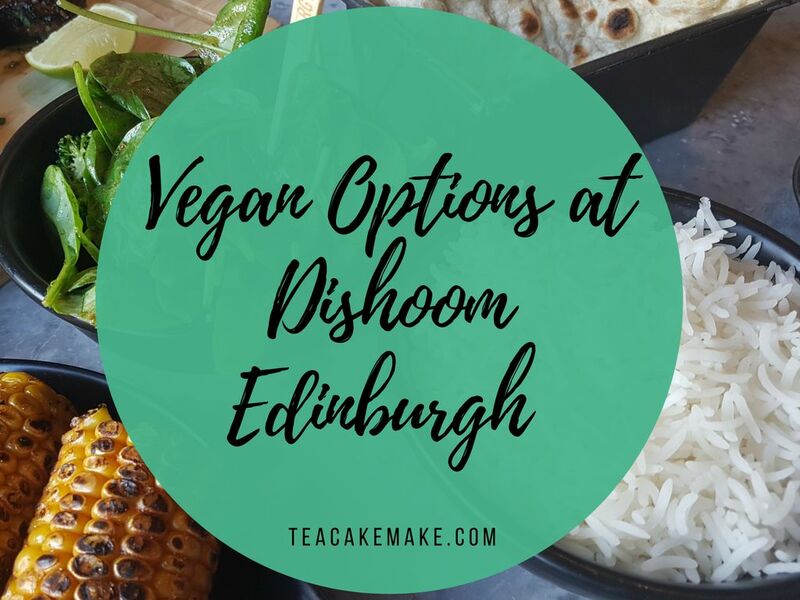 We wanted to go somewhere nice with decent vegan options, so we looked on Happy Cow and found that there was a Dishoom in Edinburgh. We’d not been to Dishoom before, but some of our friends had really loved visiting the London branches. So we thought why not give it a go? Read on to find out what I chose from the vegan menu, and what I thought of it. 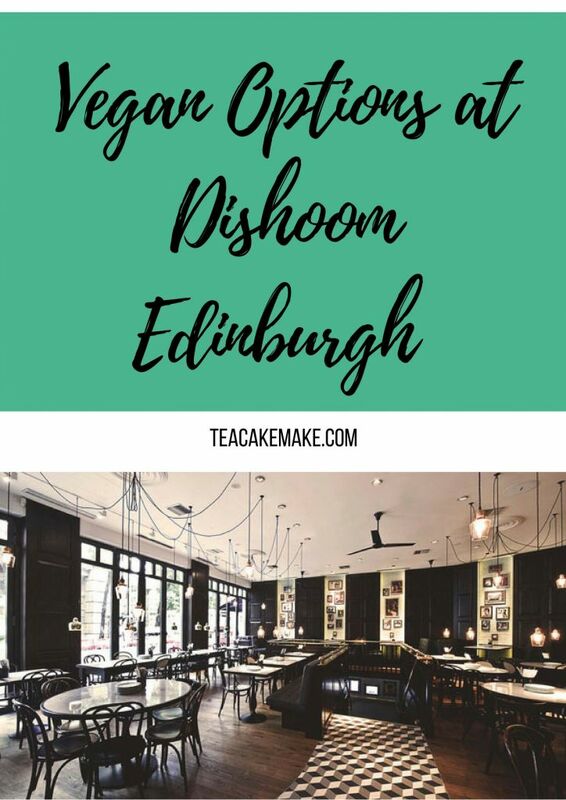 You can find Dishoom Edinburgh at 3a St Andrew Square – it’s basically behind Travelodge Edinburgh Central, between Wagamama and Tiles Bar. We were lucky enough to have a window table, from which we could people watch while we enjoyed our food. 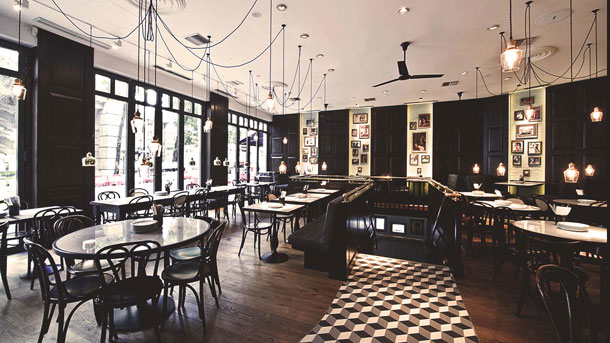 Dishoom is laid out over 3 floors, with ‘The Permit Room’ bar found in the basement. We didn’t pay it a visit, but it’s on our ‘must try list’ next time we’re in the city. 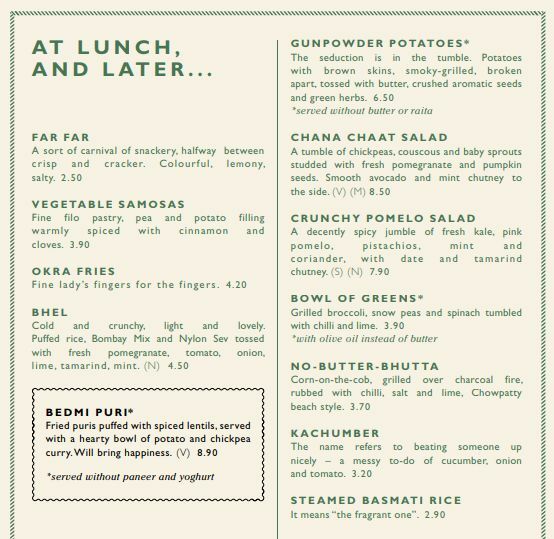 Food at Dishoom is inspired by Irani cafes of 20th century Bombay, with hospitality to match. Despite being reasonably busy, the service was excellent. Food wise, there are plenty of dishes for non-vegans, with a separate menu for vegans to enjoy. Make sure you request this when you arrive. Dishoom is well-known for delicious breakfasts, however, the vegan breakfast selection is minimal – you have the choice of ‘The Vegan Bombay’, ‘Fruit and Coconut Yogurt’, and ‘Fire Toast’. Far Far are delicious, crispy and colourful delights, and the perfect start to a meal. The Far Far at Dishoom are crunchy, lemony and salty. I’m a big fan of green leafy veg – they’re nutrient rich and usually delicious, so this dish called out to me! The Bowl of Greens comprises of snow peas, broccoli and of course, spinach, mixed with chilli, lime and olive oil. Simple, but stunning. Another super simple dish, the No-Butter-Bhutta is corn on the cob, paired with chilli, salt, and lime. One of my favourite festival and comfort foods, found in a restaurant? Perfect. I could eat this day in, day out. How could I not have vegetable samosas? Crispy filo pastry, filled with spicy pea and potato mix. Yum. 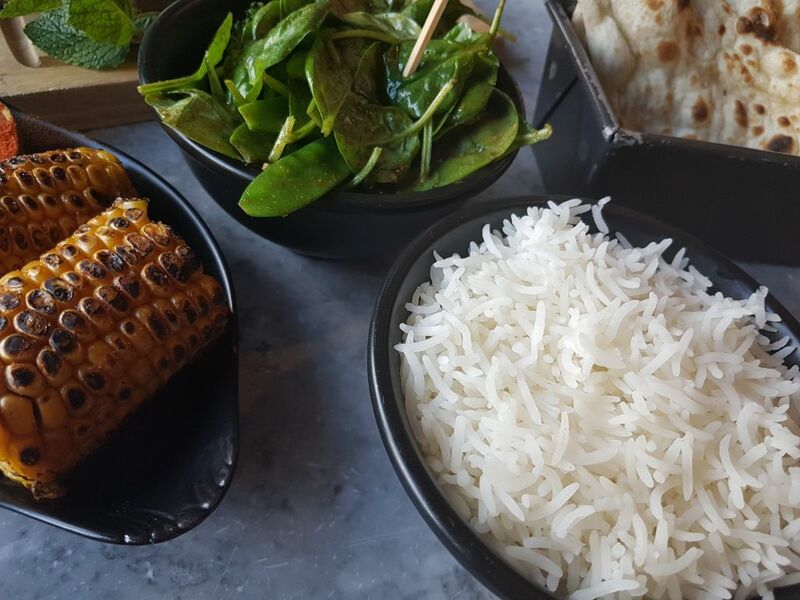 I really enjoyed eating at Dishoom Edinburgh – despite the dishes I chose sounding very simple, they were absolutely delightful and I was super satisfied after this. Well worth a visit – whether it’s to the Edinburgh branch or one of the London branches. 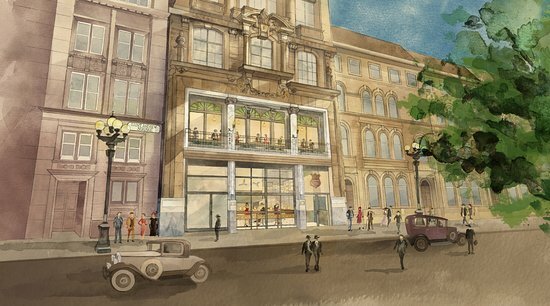 Have you eaten at Dishoom, particularly the Edinburgh branch? What was your favourite dish, and was there anything you didn’t enjoy? Let me know in the comments below!